Over the past 21 years, JGA has served as campaign counsel, assisting scores of not-for-profit organizations in planning and conducting all types of fundraising campaigns from comprehensive campaigns, to endowment and capital campaigns. The organizations we have counseled represent all segments of the nonprofit sector – secondary and higher education, cultural arts and museums, health care, human services, churches and religious institutions, and wildlife and environmental causes. We have served as campaign counsel for campaigns with goals of less than $1 million and more than $100 million. Looking back over these many years of experience with a wide range of campaigns, what are some of the common denominators of successful campaigns? 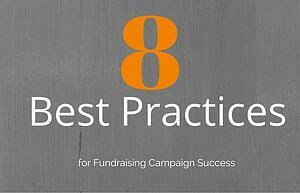 What “best practices” are key to success in a campaign? 1. Conducting a feasibility study prior to embarking on a campaign. Before launching into a campaign, it is important to “test the market” to assess whether your organization’s aspirations resonate with potential major donors and if those prospective donors are inclined to help your organization achieve those aspirations through their philanthropic support. The study should be preceded by a strategic planning process and the preparation of a written case for support of the proposed elements of the campaign. 2. Developing a gift range chart for the campaign goal. Fundraising is both art and science. The gift range chart or donor pyramid is part of the science of a campaign. It is a tool to guide the process of identifying, qualifying, and soliciting prospective donors at the various gift levels necessary to attain a campaign goal. 3. Employing a “top/down, inside/out” approach to soliciting gifts. In seeking support for a campaign, an organization should start with the largest gifts and the innermost constituents (board members, staff, longstanding major donors) and work its way down and out to the smaller gifts and less connected constituents. 4. Securing a lead gift of at least 15% of the campaign goal. JGA has seen campaigns succeed with lesser and greater lead gifts, but a top gift of at least 15% is becoming more critical as campaigns appear to be shifting from an 80/20 proposition to a 90/10 scenario -- 90% of the total raised in a campaign coming from 10% of the donors. 5. Achieving 100% participation by the board and campaign cabinet in giving to the campaign. Board members and campaign volunteers must set the pace in a campaign and lead by example. If these most closely connected leaders are not fully on board with the campaign, it will hinder fundraising from others. 6. Seeking lead and major gifts primarily through personal solicitations. The most effective approach to soliciting gifts is by way of face-to-face conversations. For prospective lead and major donors, it is especially important to engage them personally, to offer them an opportunity to discuss how their interests and philanthropic objectives align with your organization’s aspirations and opportunities. 7. Asking for specific gifts. Although volunteers and staff members are often reluctant to propose a specific campaign gift to a prospective donor, it is still the most effective form of solicitation. Donors generally appreciate having a sense of what level of gift the organization is expecting or hoping for from the donor. Leaving “the ask” open-ended often leads to disappointment in the response. 8. Raising 50-60% of the campaign goal in the quiet phase before going public with a campaign. It is important during the early/lead gifts phase of a campaign to establish momentum and build the confidence of volunteers, staff and donors that the campaign is on track to achieve its goal. Announcing the campaign to the public, once this level of support has been attained from a relatively small number of donors, will help assure less-connected constituents that the campaign is well-positioned to succeed and they have the opportunity to jump on the bandwagon and help bring it to a successful conclusion. Based on our years of experience with fundraising campaigns, JGA is confident that if your organization employs these “best practices,” you will position yourself for fundraising campaign success. Preparing for a Campaign: Are You Ready for a Feasibility Study?